Congrats! 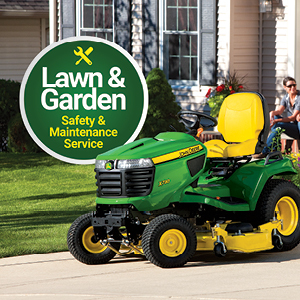 You purchased a John Deere mower, Gator, or compact tractor. Now protect it! Keep your equipment running like NEW with an inspection and annual maintenance performed by certified John Deere technicians. Our Safety & Maintenance Packages includes everything listed here! New! INCLUDES Oil, Filters and Spark Plugs!